The joint “EE-KEY-AZ Project. 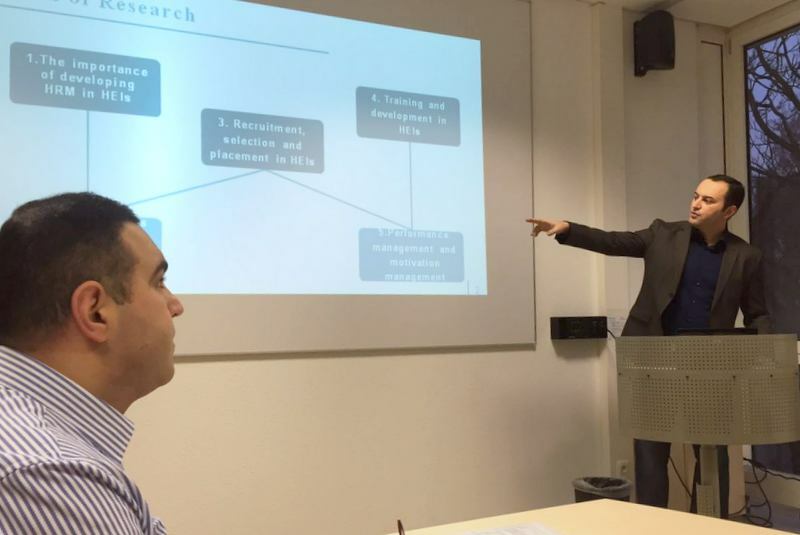 Entrepreneurship Education: A Key to Job Creation and Employability in Azerbaijan” Project of Azerbaijan State University of Economics (UNEC) and the University of Siegen of Germany is successfully in progress. 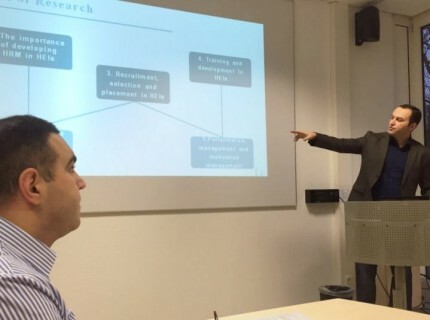 UNEC staff Ragif Gasimov’s, Anar Huseynov’s and Aysel Guliyeva’s dissertations who were on business in Germany had been discussed in PhD Board of the University of Siegen. 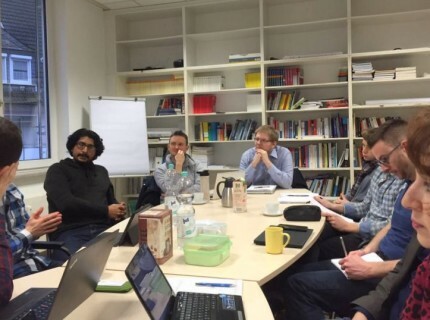 The PhD Board of the University of Siegen containing graduate and doctoral students holds meetings on the basis of the schedule adopted once a year more than once. The Board Chairman and Assistant instruct the members to develop presentations covering the direction, theme, methodology and urgency of the dissertations. 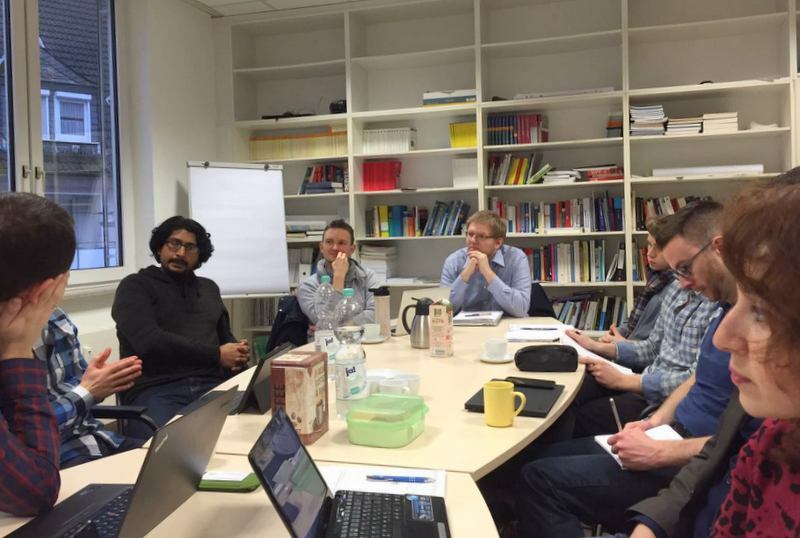 Presentations are debated within the meeting and requirements for the next stage in connection with the dissertation are determined. Plans of UNEC teachers’ dissertations were submitted and the University of Siegen graduates’ offers and recommendations were heard within the Board Meeting this time.